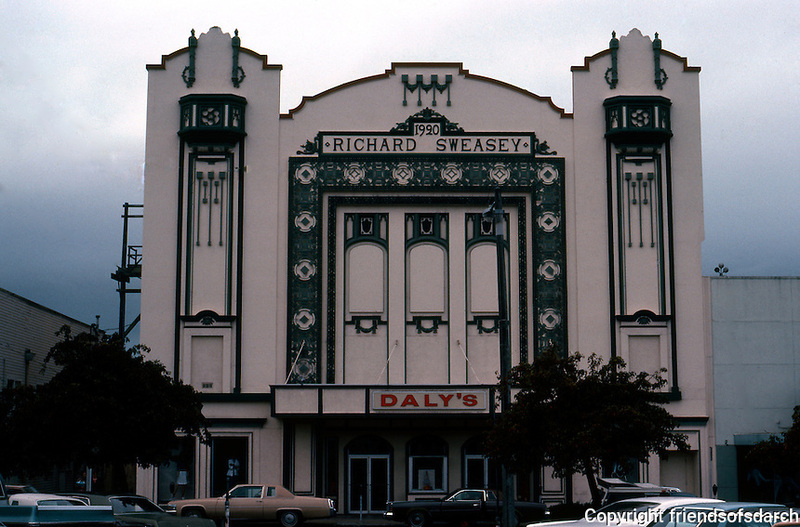 Movie Theatres: Eureka, CA. State Theatre, 1920. Richard Sweasey, Arch. G St. between 4th & 5th. Sullivanesque ornament--the architect's name prominently displayed. Photo 1982.